Second piece of advice – when you get out of bath, dry between your toes! and then put Neosporin between them. This action alone cuts my cellulitis incidence from 4 times a year to about once every 4 years. Third and last – If you are traveling, take a prescription of antibiotics with you. If you feel that your legs are red or hot or you feel like crap start taking the antibiotics right away. 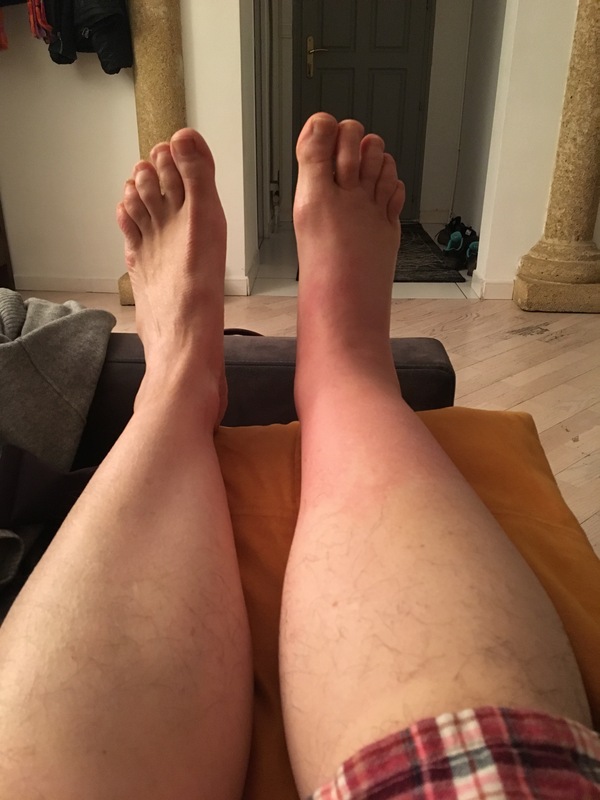 Cellulitis is incredibly fast (a couple of hours of waiting can land you in the hospital for weeks) and incredibly dangerous. Now that you have had cellulitis, you can expect to get it again, and again, and it gets worse and worse!